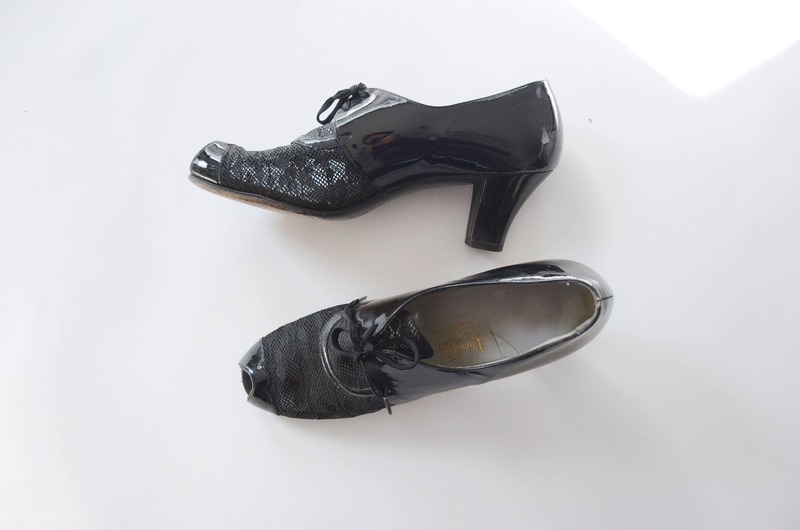 Darling black peep toe heels, toe is a see through lace material and the shoes lace up. 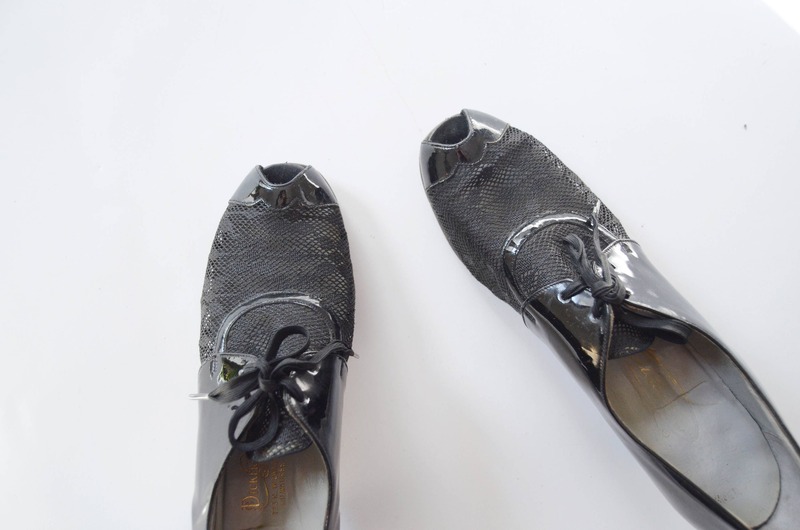 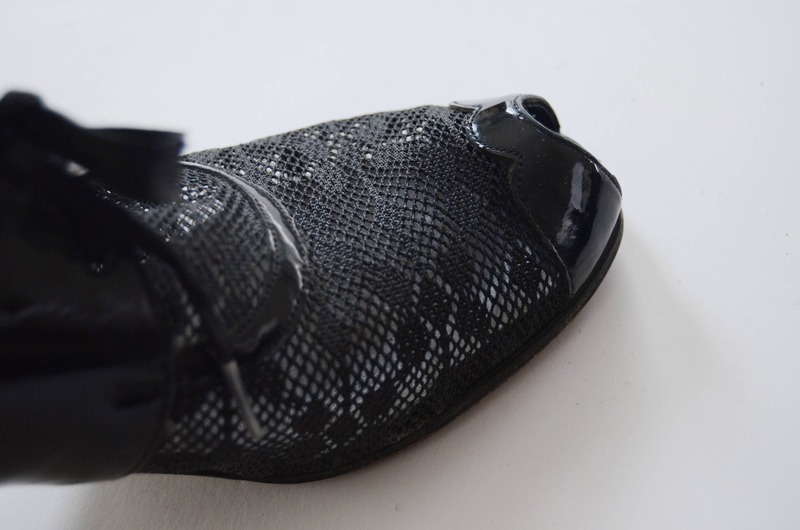 Material: Coated leather and the toe is a fabric material, unsure exact content. 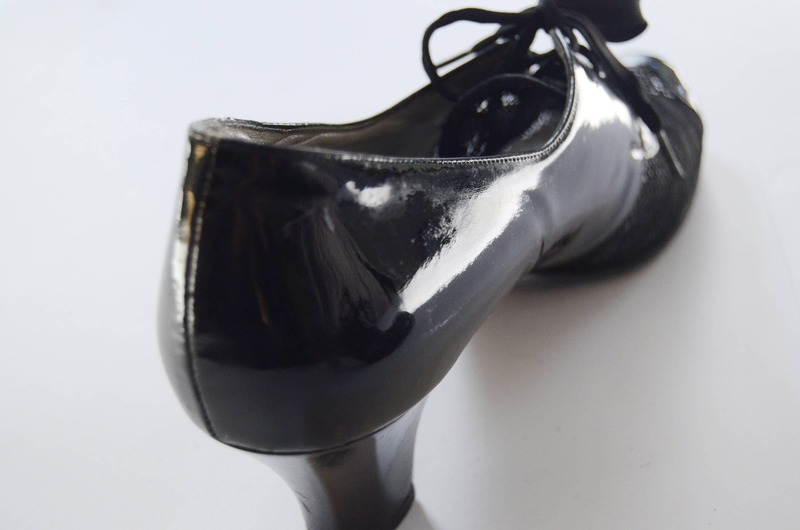 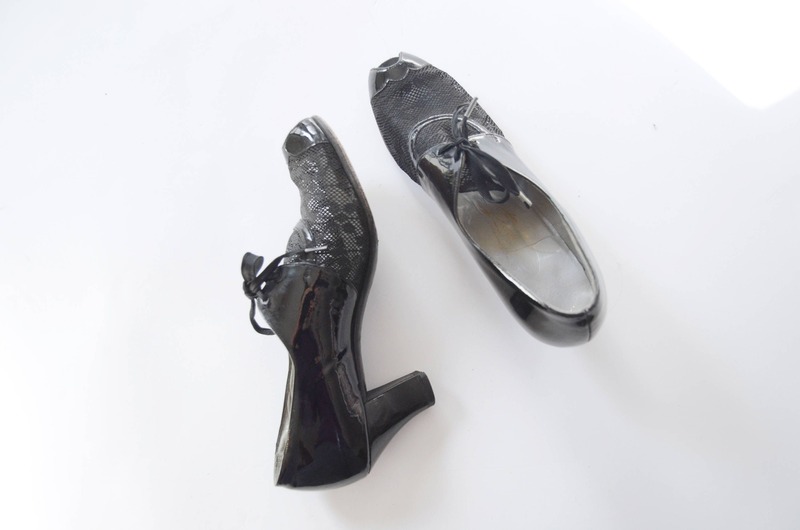 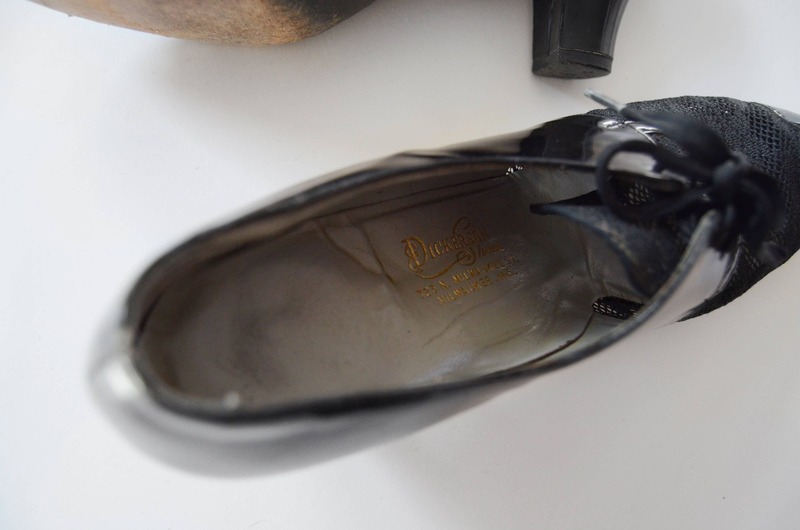 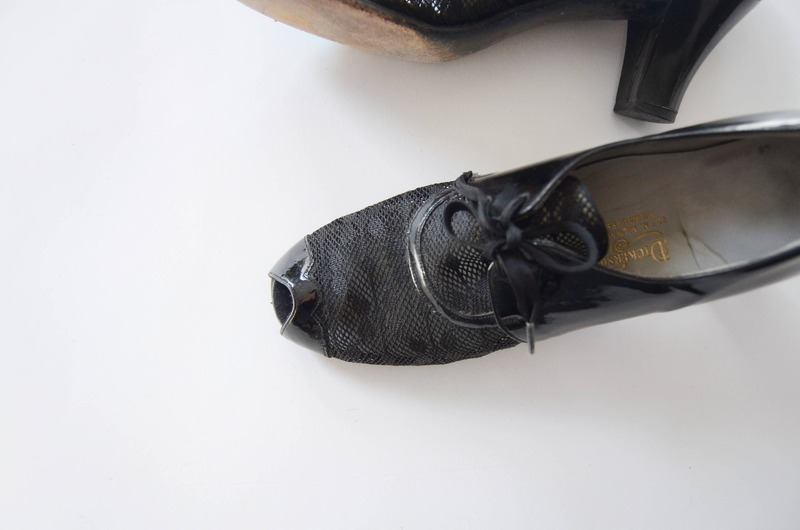 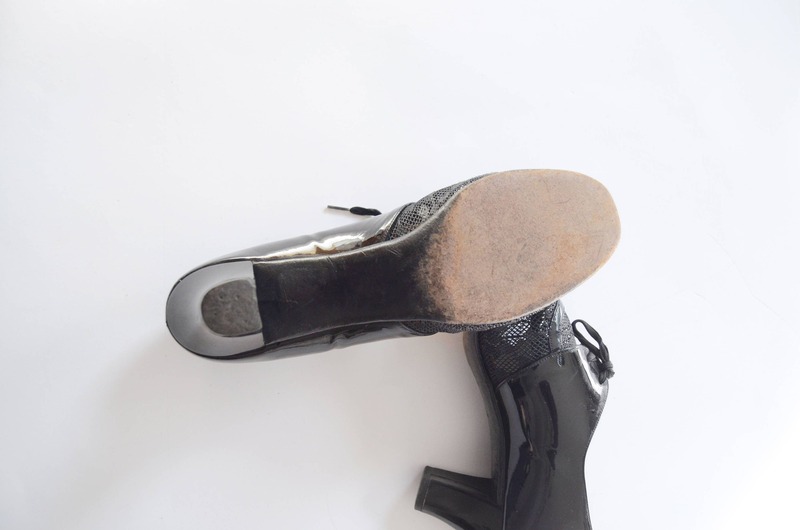 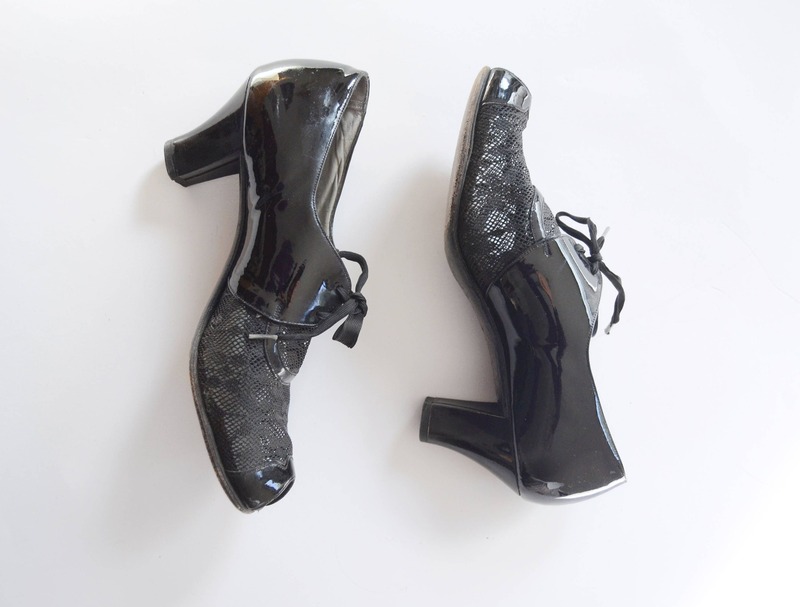 Condition: Fabulous shape, sole shows wear, light scuffing to the patent.